Denny Hamlin 1/24 Diecast Display Case with Race Used Sheet Metal, by Mounted Memories. 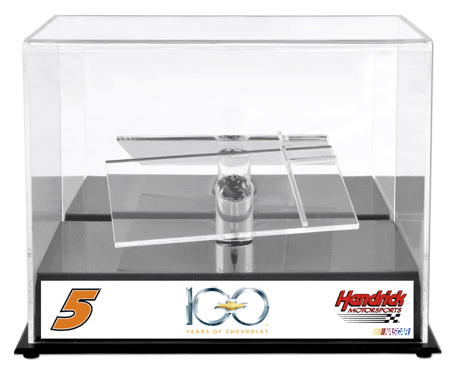 Protect and display your favorite Denny Hamlin diecast car with this high quality, crystal clear, acrylic diecast display case with mirrored back and built-in pedestal. 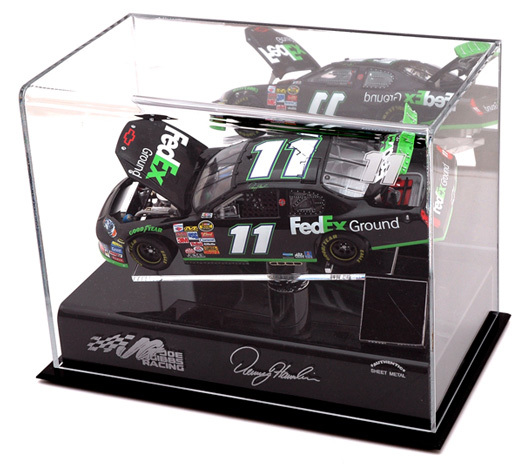 This officially licensed acrylic diecast display case features engraved graphics showcasing Denny Hamlin's replica signature and Joe Gibbs Racing logo, plus an actual piece of race-used sheet metal (colors vary). Includes certificate of authenticity.